BOIL potatoes, partially covered, for 25 to 30 minutes, until fork-tender. Rinse with cold water until cooled; drain. CUT cooled potatoes into 1-inch cubes (can peel potatoes if desired). 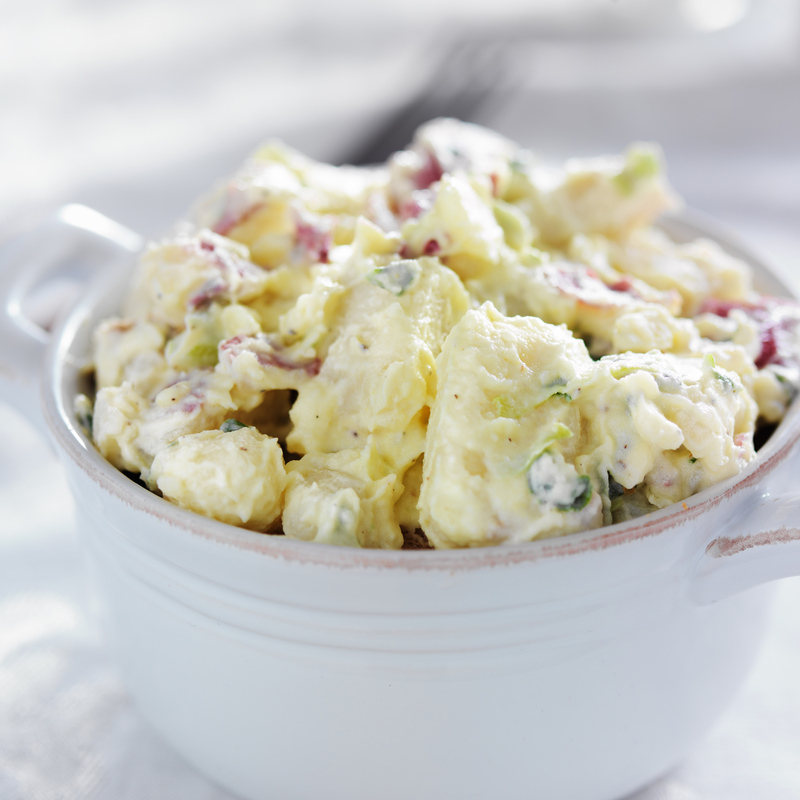 MIX mayonnaise, celery, green onions, mustard, parsley and bacon in a large bowl. ADD potatoes and eggs and mix to combine. Season with salt and pepper to taste..